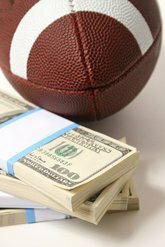 My weekly blog special the “Smart Money Report” Week 6 edition is here to help you guys out. Make sure to check here every Thursday during NFL season as I utilize all my sharps aka professional bettor contacts, Las Vegas Oddsmaker contacts, and NYC bookies to give you the info on what’s happening behind the counter in the NFL betting marketplace with every game on the board. Two way action on the side in Vegas. Some sharps on the Panthers-3 and others took Eagles at +3.5. My guy said it all depends on where the number was at during the week. One thing they did agree on was a play on the Under from 46 to 44. Nothing to report on the side but sharps are on the Over here moving this from 44 to 46.5. In Vegas my guys says almost 3/4 tickets on the Patriots here as a public favorite for the weekend. Nothing much to report besides a small move on the Total from 47 to 47.5. He said he will need the Jets here. The betting public again is 75% ticket count on the Falcons here for Sunday in Vegas. That’s caused my guy to move up 10.5 to 11. His total is down from 47.5 to 46.5 with Under support. He will be rooting for the Dolphins come Sunday. Sharp money on the Saints here moving this from -4 to -5. The total is down a half of tick from 50.5 to 50. Sharps took the Vikings at +3.5 in my Vegas contacts shop. He said when he went down to 3 all is quiet. Heavy public action on Baltimore this Sunday with 3/4 tickets on them. He said sharps like the Bears only at +7. He said he’s bounced the number back and forth between 6.5 and 7 this week and sharp support did come in on Chicago at 7 only. A little bit of a move on the Redskins here moving this from 9.5 to 10. Sharps in Vegas bet the Under here moving my guy down from 43.5 to 42.5. The public is betting Tamp Bay here at a 3/4 clip he tells me. He said nothing big but he did take a little sharp interest on Arizona at +2.5 early this week. His total is up a half of tick from 44.5 to 45. Off the board at time of blog. Sharps are split depending on the number. My Vegas guy said he saw some sharp money on Denver at -11 to -12. He did note when he hit 12.5 that he saw opposing sharps come in on the Giants. One thing they did agree with is the Under. Sharps bet this down from 40.5 to 38.5.